Yamaha rd350 Road Racer Liquid Cooled!! Make sure you put your old steel rims on scale to compare to those shouldered set. Some shouldered rims can be damned heavy and those old steel units aren't as heavy as you might think. Tires of course make up the major rotating mass there, but every little bit helps. I'll look into that when I get them un laced, they were heavier than I expected when I picked them up. Bad thing is the steel hoops are in pretty shabby condition. 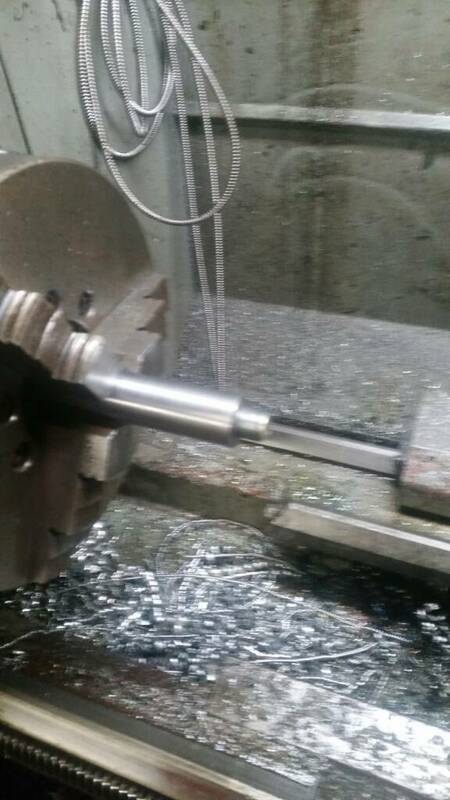 Not a huge update, but I made up an arbor to do my squish machining when that time comes. I have yet to put an indicator on it to see if the plug holes are centered, as I've read that sometimes they aren't. 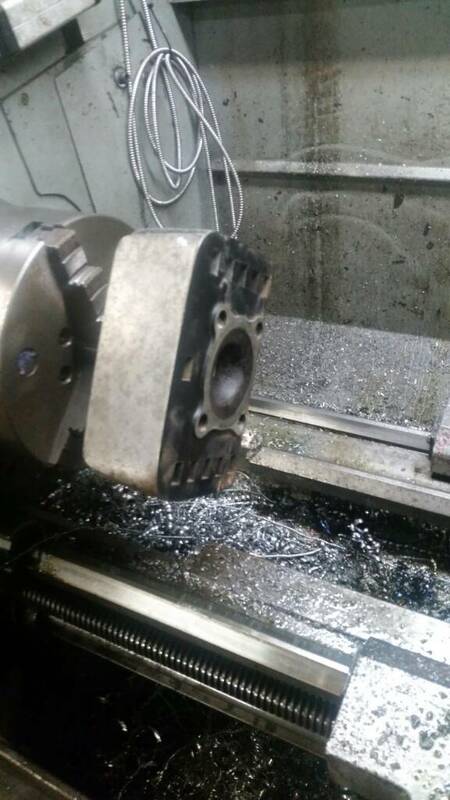 I also still have to take a light mill cut off of the spark plug surface to make sure that it is true with the gasket surface before doing any machining. I used a buddy's lathe to make the arbor. He is tooled up a bit better than I am at the moment, plus his lathe has a dro, which makes everything easier. I'll use my South Bend 9 when the time comes. Didn't think about clearance of the bed, but I have a half inch, which is about a mile in machinist terms, so it's all good. That is looking very professional. 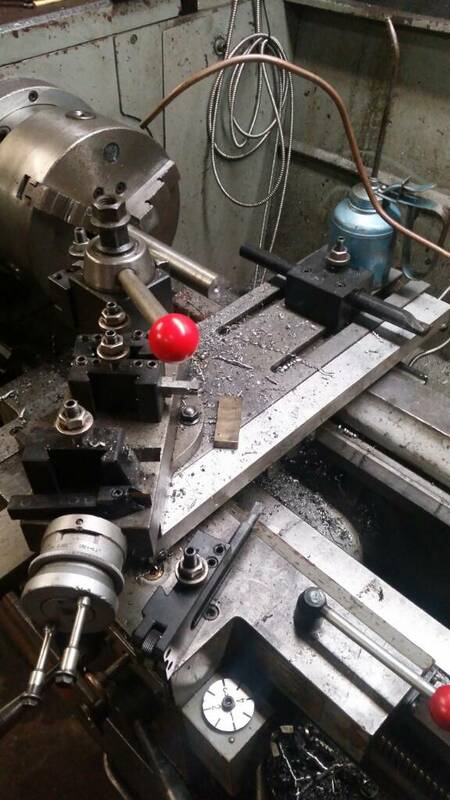 I need to get my machinist to make an arbor for our nexyt project to do exactly what you are doing there. THANKS! I used a stud drilled and tapped into the arbor instead of single point threading. 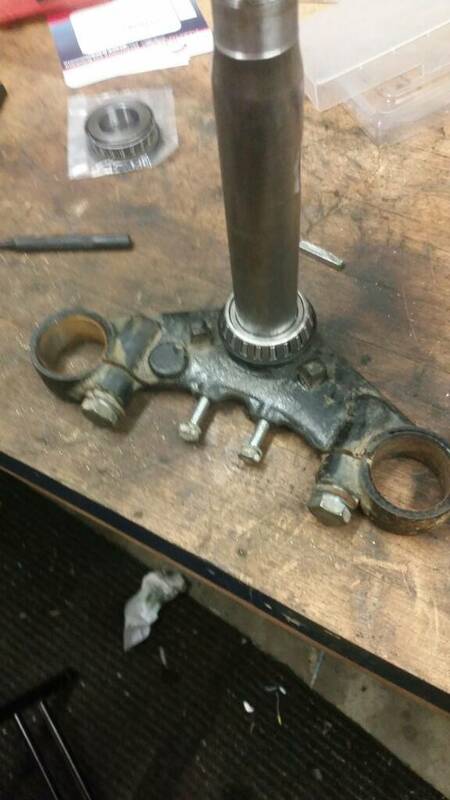 Luckily my buddy is a mechanic and had a 14mmx1.25 tap on his service truck and a harmonic balancer bolt of the same size and thread pitch to rob for the threaded lug. 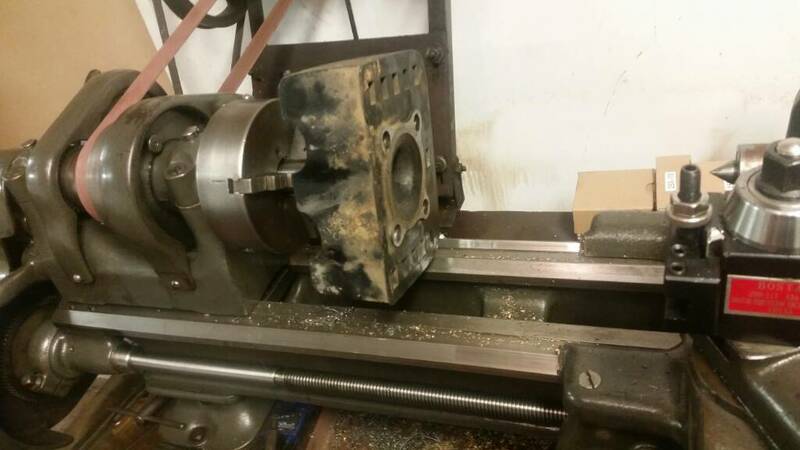 Again, not a ton to update, but I did get the tapered neck bearings fitted. 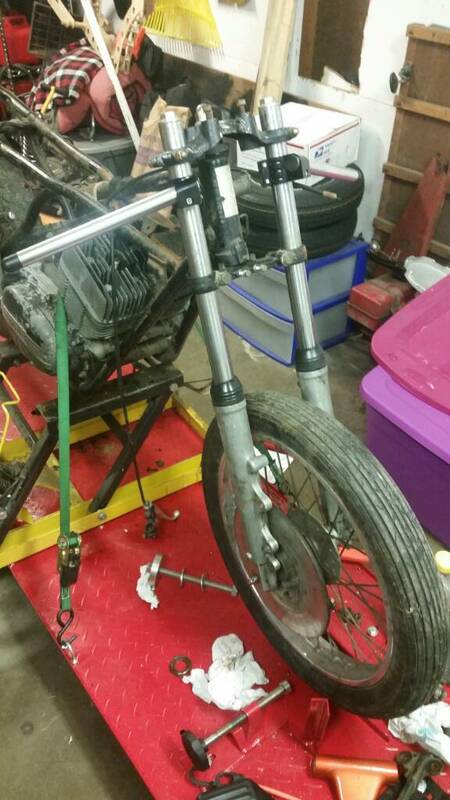 Xs650 forks mocked up. They are about 2 inches longer than the Rd units, so they have to go up through the top tree a bit. I thought about flipping the top tree upside down, but that looks pretty goofy. 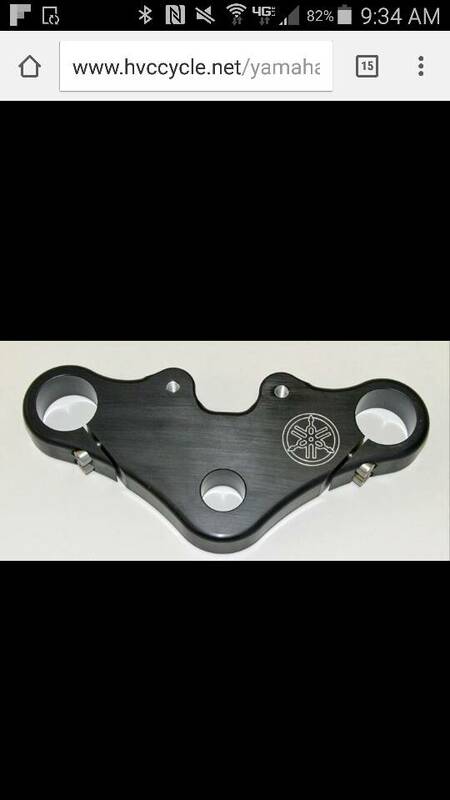 What's you guys advice on the steering damper? Worth keeping? Not worth keeping? Does it even make a difference? Question on top triple design. Planning on making my own as I don't feel like dropping $235 on this one. 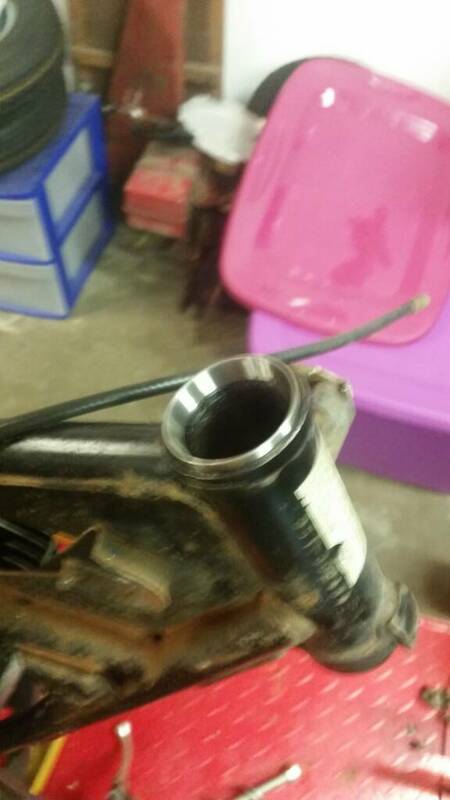 I've seen a few like this with the steering stem pinch bolt deleted. How crucial is it to performance/ fork flex ect to keep it intact? Doesn't matter a whole lot. Matter of fact, you can overtighten the top nut and adversely affect the bearings. 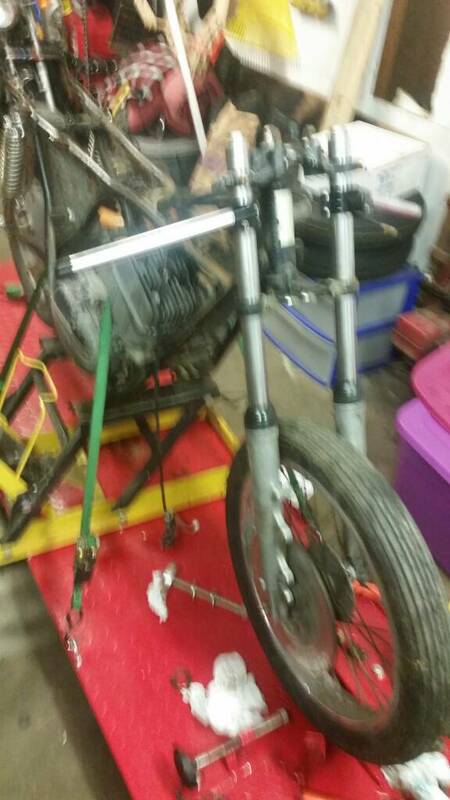 The nut below it, plus the fork tube bolts are doing all the work. A top nut over it is all that's necessary. The bottom triple is more important. 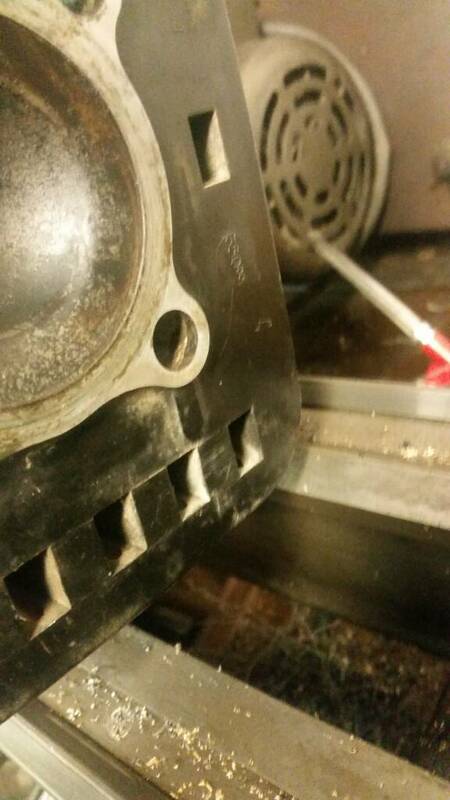 The stock R100 top triple I removed was nothing more than 4mm thick piece of plate cut into the shape of a triple.